Product description: Chic and customizable - our ultra-popular Sharnell boot has been updated with new materials. 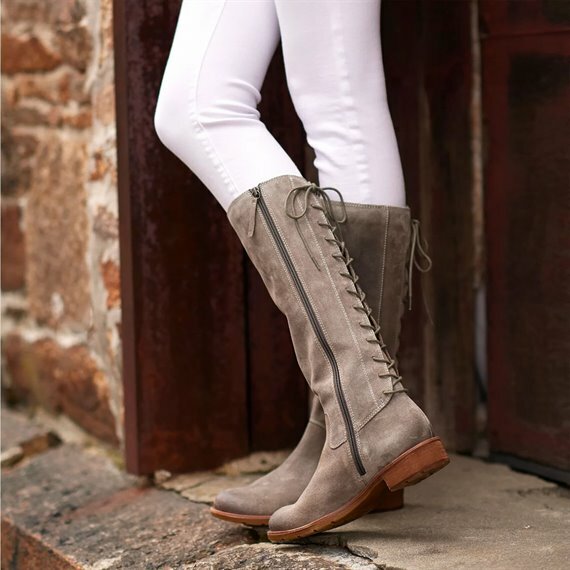 This beautifully crafted boot features fully adjustable lacing to fit narrow and wide calves, courtesy of our exclusive Sure-Fit Shaft design. No break in time required, the boots are so comfy! I'm glad I purchased. Great look. Took me about 45 minutes to get the laces adjusted to fit my calf and am expecting to need to adjust them again once the boots are broken in. Fit a little loose in the ankle and wish the foot pad was a little more padded, but overall, awesome boots. I bought these boots in the store. I do not have a wide calf, although they would be very appropriate for anyone with larger legs. At the time I had plantar fasciitis and I work on my feet. These boot have been so comfortable right from the first time I put my feet in! I can wear them all day at work if I like. I have received so many compliments on them wherever I go and people younger and older love them! My daughter liked them so much, I bought her a pair directly from the site - hers have the higher heel. 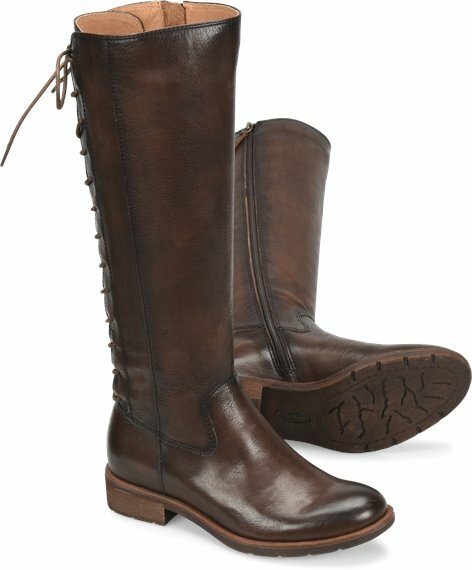 I would highly recommend these boots for comfort and fashion! I absolutely love these boots! I have a narrow calf and foot. This boot worked best because of the laces. With a pair of thick socks, the foot bed was manageable. Love the style of the boot and got many compliments! 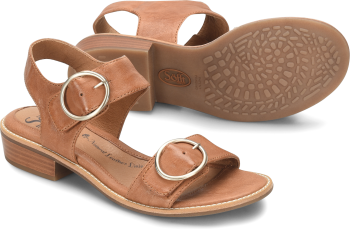 Great fit, beautiful leather, and fashionable! I loved these boots from the first time I saw them in a magazine. They were not available locally, so I took the plunge and ordered online. They fit great, and I was impressed with the quality. Love them! 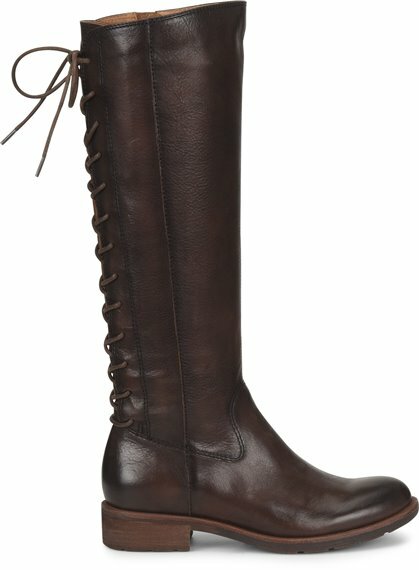 I have problems finding cute "wide-calf" boots, and I am so glad I found these. Not only are these very well made, but they are also really cute. 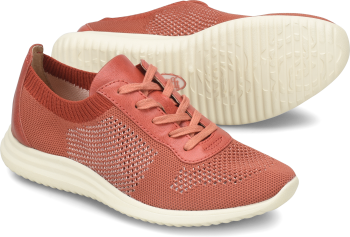 It's very sturdy, fits really well, and its comfortable for all day wear/walking around the city. I will definitely be buying these again when the time comes. I've been looking and looking for a cool pair of boots but wanted a pair with a little something "extra". I first saw these on a model (I think in Family Circle), and loved the look. I wanted to try them on before I bought them, but I trusted the reviews and am glad I did. They are comfortable, and they are true to size. I'm glad the laces are adjustable - I needed to loosen the laces up to wear the with jeans. And the color -Whiskey Tan - is gorgeous! I have bad plantar fasciitis and heel spurs. 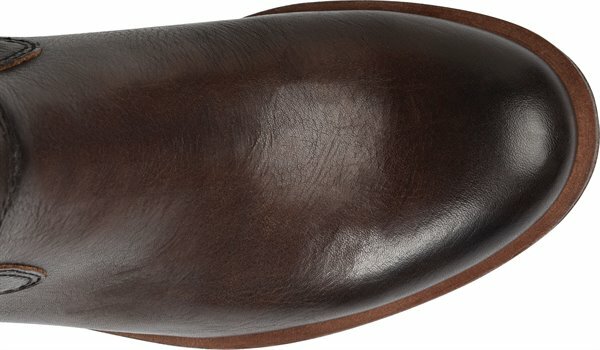 I’m a teacher and I am on my feet all day and needed a really comfortable brown leather boot. These are amazing! No regrets getting them at all. Love love love these boots! 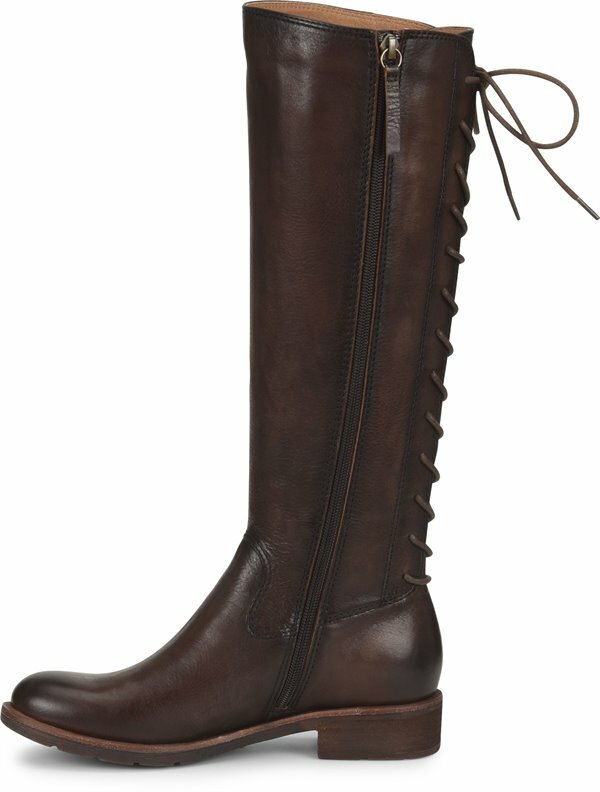 I’ve been on a search to find boots that fit my calve size and these do it for me! The leather is of high quality, you can tell right away. 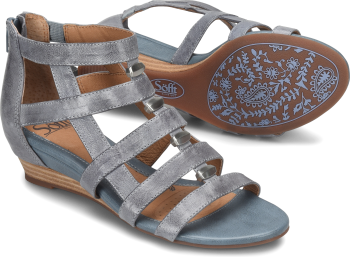 They’re also super soft inside and have great arch support. The one thing I didn’t like was that they were a little, I’m a solid size 6 and I found that I have some extra space in the boot- but I guess this will come in handy during the winter seasons when I wear thicker socks. Overall a great buy. If you're shopping for a new boot look no further. I am the absolute pickiest girl when it comes to buying boots! I NEVER order online, I try on 100 pairs in several stores and walk out empty handed nearly every winter. With these I ordered them, had little expectation assuming I'd just send them back when I didn't like the fit or look in person. I was WRONG! These are beautiful, I want a pair in every color. I always order half size up to comfortably wear extra socks for warmth so I'd say they're true to size and very comfy too. These are so flattering, just go for it and order these you will not regret it!!!! These boots are as great as they look! !